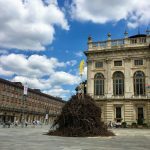 One of my favourite week in TorinoIt is the capital city of the Metropolitan City of Turin (an administrative division of Italy) and of the Piedmont region, and was the first... is starting, it’s the art week and it is has stressfull as rich of events as the Milan Fashion week. But how do you survive, what is the dress code and how can you enter for free? First of all, let’s see the event and fairs one cannot miss. Organized by Maurizio Cattelan, Myriam Ben Salah and Marta Papini, inside the Oval, you will find the International and renowned Art fair Artissima from 7th to 9th November. Amazing galleries from all over the world will bring their best artists. The Others aka my favourite art fair. Hosted by the ancient prison of the city, each gallery is located in a jail cell. The atmosphere is absolutely disturbing yet fascinating. From 6th to 9th November, you will find the most alternative art galleries, live performances and young street artists. Flashback at Palaisozaki from 6th to 9th November. It is a fair on modern and ancient art. The venue is already worth the visit, with its beautiful structure made of steel and glass plunged in a park, near the Olympic Stadium. The most democratic fair is definitively Paratissima from 5th to 9th November. Here, in one of the Exhibition centres of the city, you can find artists, in many cases, still not represented by an art gallery. Photissima from 6th to 9th November and hosted in one of the first factory of the city, Ex Manifattura Tabacchi. It is entirely dedicated to photography and includes also workshops. Before going on, in order to help me grow with this blog, would you please be so kind to like the Facebook page? Thanks 😉 Ok, let’s continue. Tip n. 1: Enter for free or get even paid! Considering that some of these events are free, like Paratissima, or envisage a risible entrance ticket as The Others, if you are a penniless student or artist you might know that attending these events for free is not impossible. Becoming a friend of artists, art gallerists or someone working in this field, is certainly the best way to get invitations or free passes for the entire duration of the fairs. Or, you can also send your resume and propose yourself for a job during the period of the exhibitions. Loving art so much, I would also volunteer to get a pass and there is always someone who needs a little extra help. If you check the art web sites, you will find the complete list of exhibitors. Another way to enter, and maybe get also paid, is to come here the day before the openings. Normally there is no admission fee when exhibitors are preparing and setting up their stands. You might ask them if they need some help. Sometimes they are desperately looking for someone to hire. It is just a matter of being in the right place at the right moment. Tip n. 2. Dress comfortably but don’t forget the bizarre. Eccentricity is the key word. You don’t wont to feel has an alien, dressing with a pair of regular trousers, a sweater and maybe, quelle horreur, a simple coat. Nobody will consider you or offer you something, not even a glass of wine to chit chat in front of a piece of art whose meaning is known by everybody but the artist. No, no, no. You want to be perfectly integrated in the environment. So, wear colourful, vintage, strange, fluffy, non matching items and you’ll be perfectly in tune with the situation. And hat, don’t forget a hat. Arists wear hats. Cool people here wear hats. The stranger the better. If you need to buy one, Nina Tauro might be the woman you are looking for. Tip n. 3. How to optimize the time without finding yourself in a corner asking to your feet: please, one thousand more steps. Let’s consider that you arrive in Porta Nuova Station. The first thing to do is to visit the Tourist Office to get: free map and brochures and, in case you are interested in visiting a museum, the Torino Card with the possibility to use public transportations for free and have a reduction on the Artissima admission fee (hey, look, I’ve also rhymed 🙂 ). Visit The Others when it is dark. 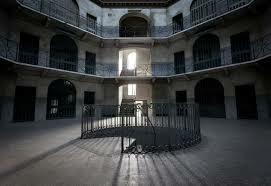 In this case the prison will show all it’s enchanting and dark atmosphere at its best. Inside there are also booths where you can have something to eat. 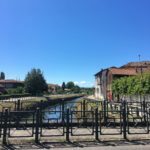 The prison is a 15 minute walk from Porta Nuova Station. 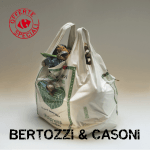 Take the metro, go to Lingotto and visit Artissima then move to FlashBack. Consider at least three hours for each exhibition. I would visit on a first day these two fairs and then Paratissima and Photissima which are located in two different areas of the city. If you need a taxy, the two biggest cooperatives offering the service can be reached by calling these numbers: +39 011 5730 or 0115737. In any case, try to use the metro as much as you can. 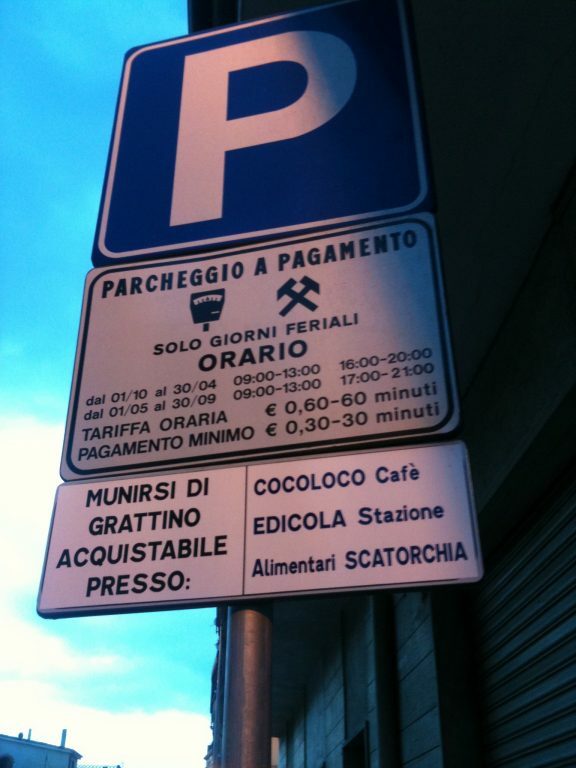 If you arrive with your car, remember that, during the week, parking places with a blue line in the city centre are with fee, and parking there for 3 or 4 hours, supposing that you have found a place to park, can be quite expensive. 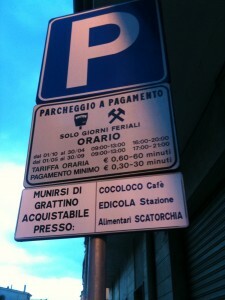 Free parking on the street (areas alre limited with blue stripes and marked with blue signs) on Sunday. Put some food in the bag. Even if finding food in Italy is not difficult at all, a good solution to recharge the battery is to have some bite of fragrant focaccia. My favourite is the focaccia Bianca by Delper , a bakery spread all around the city. You don’t need to buy water. 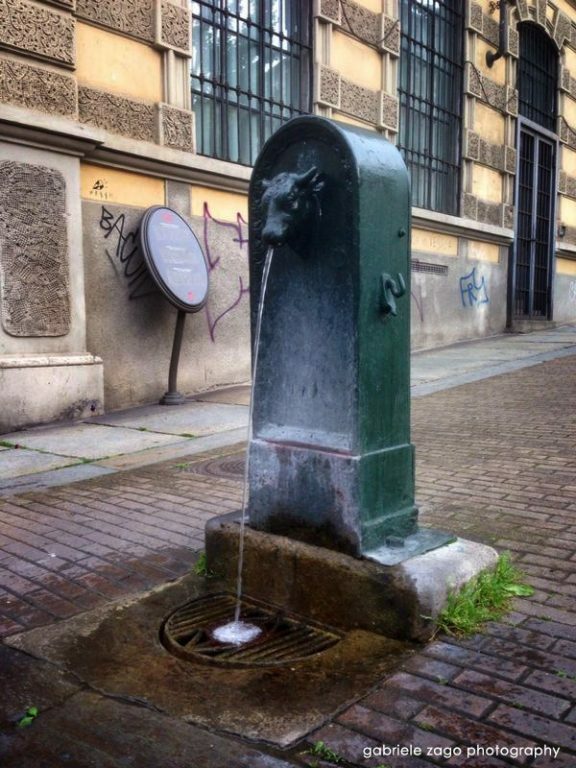 The city is spread with Toret, the public fountains where water comes out from the head of a bull, Toro in Italian, and that can be used to refill your bottle. eh eh 🙂 Yeah it is a really great week. In bocca al lupo Lori! Grazie Dario, è anche merito tuo! 4BQ7OK Excellent website. A lot of useful information here. I’m sending it to several friends ans also sharing in delicious. And certainly, thanks for your sweat! I simply want to say I am just all new to blogging and certainly liked you’re website. Almost certainly I’m going to bookmark your blog . You absolutely have wonderful posts. With thanks for sharing with us your website. I simply want to tell you that I’m new to blogging and site-building and actually liked you’re website. Probably I’m going to bookmark your website . You absolutely have excellent articles and reviews. Thank you for revealing your web site.